THE FIRST GLOBAL MANTA RAY DATABASE IS HERE! Our team is proud to announce the launch of Manta Matcher (www.mantamatcher.org), the first global online database for manta rays! Created in conjunction with Ecocean USA, this site will function much like, www.whaleshark.org, a site that has been tracking whale sharks numbers across the globe for over the last decade. After years of development my dream of creating a global database used by researchers around the world to keep tabs on these wide-ranging species has finally arrived. Manta Matcher will be the first formal collaboration by scientists around the world to study the biology and understand the migratory behaviour of both species of Manta. With each photo, the global database will grow and slowly pieces of the puzzle will start coming together. Together we can solve the mystery of where they travel, how old they get, and how large the global population really is! After a two year collaboration with Chris Town, a professor and mathematician from Cambridge University, Andrea promises that Manta Matcher will have a automated component very soon, allowing the uploader to match their manta against the entire global population in a flash. It is certainly not as easy as it is with whale sharks since manta rays have their unique natural spots patterns on their abdominal area (i.e. requiring the photographer to be beneath the ray). Manta rays are also very flexible, which added to the design problems. 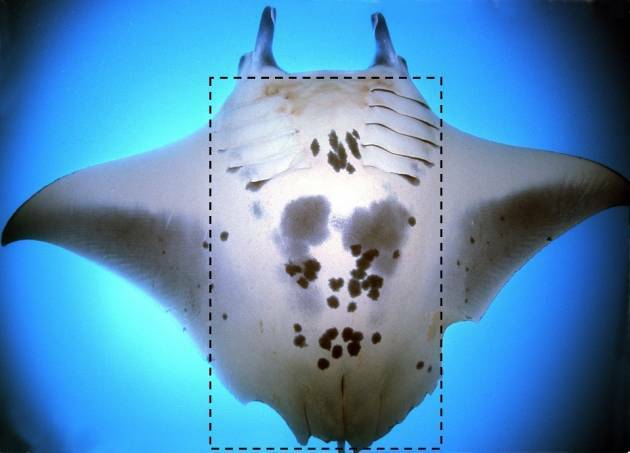 To make matters even more challenging, remoras or other fish often swim beneath manta rays, obscuring parts of their unique identification marks. But persistence has paid off and we are very proud of the resulting program. Manta Matcher represents something very important to science, yet at the same time it is inclusive and fun for the public! Everyone can get involved in the fight to protect manta rays. All they need in their arsenal is a camera! It is my sincerest hope that this new website opens doors for collaborations between researchers in different parts of the world and inspires the public to join us by way of real life citizen science! Manta Matcher was developed by the Marine Megafauna Foundation and Ecocean USA as part of the Sheppard Project. To date, eight major research organizations have demonstrated their support for this initiative and countless members of the public are now uploading mantas from across the globe. To learn how you can contribute please click here for more information.